I have designed a few rooms using some of my favourite suppliers, see what you think of these. 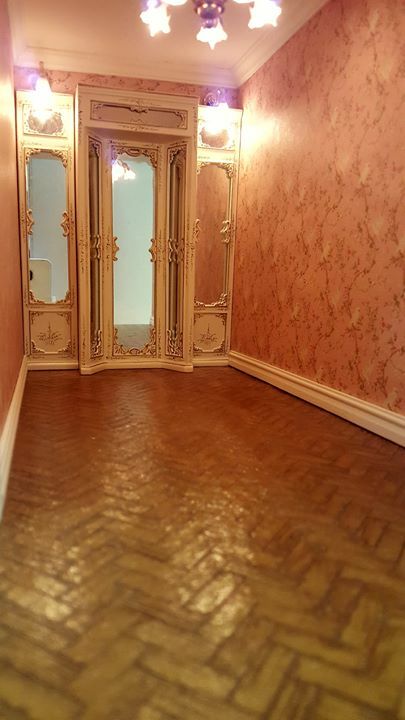 A Chinoiserie inspired bedroom. A French inspired bedroom, now subtly decorated with a Regency paper and soft tones. A typical Georgian room, unusual for me to use two mural papers in one house, but I do like this one. 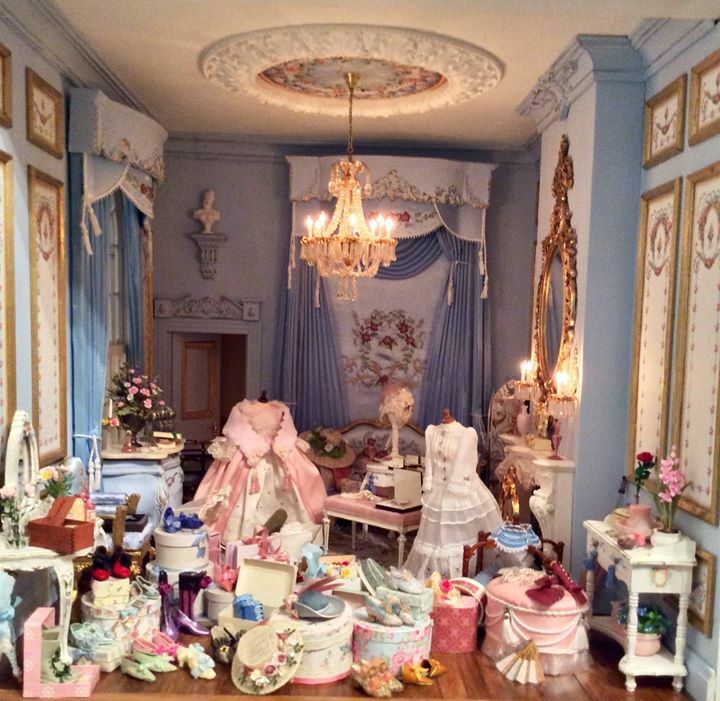 Smaller rooms, bathroom, day nursery (based on Queen Mary’s dolls house) and a Gentlemens dressing room, furnishings made by Masters miniatures, Anne Shepley and Tarbena. Butlers office, Butlers pantry and Kitchen. Finally finished a shop I have been working on. It has been rebuilt completely to increase the ceiling heights to allow for a lift running though the centre.